The drawing sheets in MEDUSA4 can be individually adjusted for the task at hand. For instance, you can choose a metric or a US (inch) measurement system. The scale and size of a drawing can also be set individually. In addition, you can adjust the scale for individual parts of the drawing. 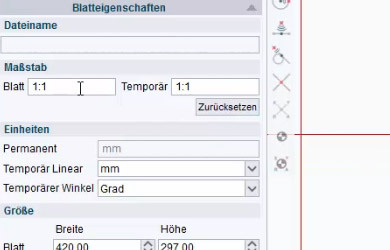 You can even reference parts of another drawing in a MEDUSA4 drawing sheet. The information in the header of each drawing is intelligent, and can be used for filing it or referencing it in the data management system. Download the trial version of MEDUSA4 R6 for free now. 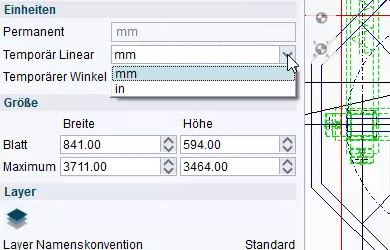 MEDUSA4 allows users to switch between metric and inch-based sheet units. Choosing Metric sets the sheet units to the metric system of measurement (mm), and Inch sets them to the English system of measurement (inch). The corresponding system of measurement is then used for every sheet that is opened in MEDUSA4. Every technical drawing in MEDUSA4 has a scale, which is initially set at 1:1 by default. The scale can be permanently or temporarily changed for the entire drawing. The permanent scale is saved together with the sheet. The temporary sheet scale can be used to temporarily change the scale of a drawing for individual processing steps, but without affecting the actual scale. 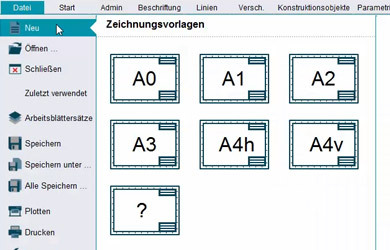 In MEDUSA4, sheets can be created in the common standard formats as well as in special formats. MEDUSA4 already contains drawing sheets in the following formats: A0/E, A1/D, A2/C, A3/B and A4/A. 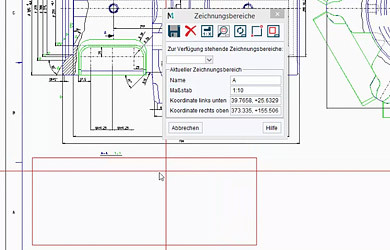 When creating a drawing in a special format, each user can determine the width and height of the drawing sheet. The provided standard drawing sheets are completely adjustable for a company’s individual requirements in terms of both format and appearance. 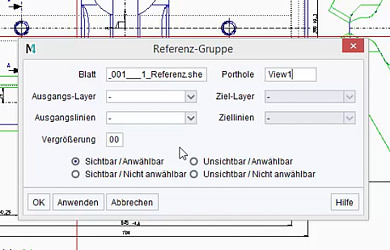 The sheet header on a drawing contains a large number of details and information that can relate to either the sheet or the project. The interactive Sheet Header Editor in MEDUSA4 lets users edit the legend quickly, effectively and interactively. 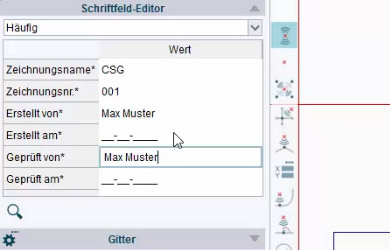 When information is changed in the Editor, the new details are automatically transferred to the sheet header. The information it contains is completely analyzable. For instance, it can be used to automatically generate a file name, including the version number, or as an information source for a data management system. The Scale Views dialog allows you to work at several different scales within a MEDUSA sheet. The scale views are defined as specific areas on the sheet and they and their scale information are saved with the sheet. The scales defined for these views become active when you move your cursor over them, when special conditions are fulfilled. The reference sheet procedure is an easy way of getting a first overview of an assembly by referencing single drawings or parts of drawings in one sheet. If a drawing or a part of a drawing is used as reference inside other sheets, for example, to assemble a machine, then it has to be defined as a porthole. Porthole elements are used to define a certain part of a drawing for using it as reference.